Go playing requires the participation of a network of cortical areas. As shown in Fig. 2c, these areas include the mid-dorsal prefrontal area (BA9), the dorsal prefrontal area (BA6), the parietal areas (BA7, 40), the posterior cingulate areas (BA30/31), the occipital area (BA19), and the posterior temporal area (BA37). These areas are generally engaged in attention, spatial perception, imagery, manipulation and storage in working memory, retrieval in episodic memory, and problem solving . An interesting finding was that the primary somatosensory and motor areas were also activated. The authors’ explanation is that the player is getting ready, in his mind, to pick up a real stone and play it. A similar phenomenon was found when subjects were shown Chinese characters (earlier post): their motor areas indicated they were ‘thinking” of picking up a pen or brush to draw the character! Concerning the right lateralization, the researchers hypothesize that this may be attributed to the storage component of spatial working memory, global spatial pattern analysis, and sustained spatial attention all being biased in the right parietal areas. They also found lateralized activity in the left dorsal lateral prefrontal area, normally involved in language functions. They hypothesize this may be due to the subjects verbalizing go terms internally. 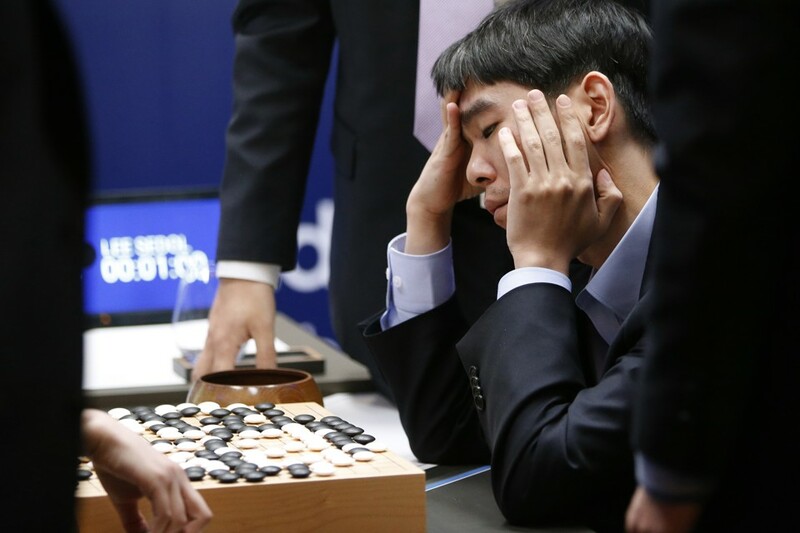 As topics for futher research, the authors propose neuro-imaging studies of professional go players. They make the fascinating prediction that the pros will show even less activity in the frontal areas, since they know the game so well they are not really thinking as they play. Bob has written a nice overview of the game of Go, also known as weichi or paduk together with Sangit Chatterjee. It ws published in the July-August 2003 issue of “Science and Culture”, a respected Indian periodical. Which points on the go board are played when? Ashley Feniello has done some brilliant analysis on when what points on the go board are typically played. He reported the results, in the form of a cool animated GIF, on Sensei’s Library. Bob has written a good overview of the computer go problem.